Dublin has been voted the second friendliest city in the world by readers of the prestigious and top international travel magazine Condé Nast. 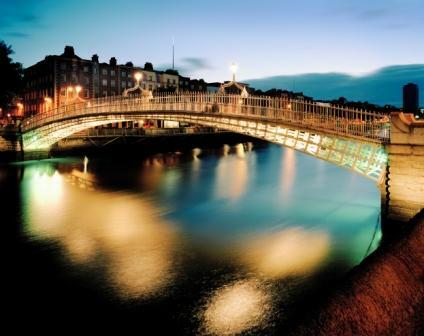 Rising from fifth position in 2014, Dublin was tipped to the top by sunny Sydney, Australia however it also beat off the popular towns and cities of Queenstown in New Zealand, Kraków, Poland and Bruges in Brussels. Ireland’s capital city came in second to Sydney with the readers of the Condé Nast Traveler describing Dublin has a fun destination with a warm friendly welcome. The city was described as the “New Barcelona, without the sunstroke”, and a place where tourists will find “pubs and Dublin city restaurants filled with locals and tourists alike, coming together to celebrate life”. Completing the Top 10 in the list of the world’s friendliest cities were the cities of Edinburgh, Kyoto, Budapest, Auckland and Reykjavik. The unfriendliest cities of the world rankings the Venezuelan capital Caracas came in at the number one positions ahead of Casablana, Morocco and Guangzhou, China. Additionally Naiobi, Moscow and Cannes were names as unfriendly holiday destinations. Tourism Ireland has welcomed the news, with CEO Niall Gibbins describing it as ‘another well-deserved accolade for Dublin’. “Again and again, our research shows us that the friendliness of our people is one of our unique selling points,” Mr Gibbins said. “It is the warm welcome and the ‘craic’ here that resonates with our overseas visitors and makes Dublin and Ireland such a great choice for a short break or holiday. This is another great win for Ireland’s capital city by the readers at Condé Nast Traveler Magazine as they recently voted Dublin as fifth in the world’s top shopping destinations. Another great win for Ireland’s capital city, these prestigious titles are sure to boost visitor numbers of those planning a trip to Ireland. This is also a great boost the Irish tourism board who additionally recently revealed an 11% increase in the number of overseas visitors taking a vacation in Ireland between January and June of 2015 compared to the same period in 2014. This entry was posted in Best Attractions in Ireland, Best Places to visit in Ireland, dublin, Ireland, Ireland Travel, Ireland vacations, Travelling around Ireland, vacation to Ireland and tagged Conde Nast, dublin, Dublin second friendliest city in the world. Bookmark the permalink.